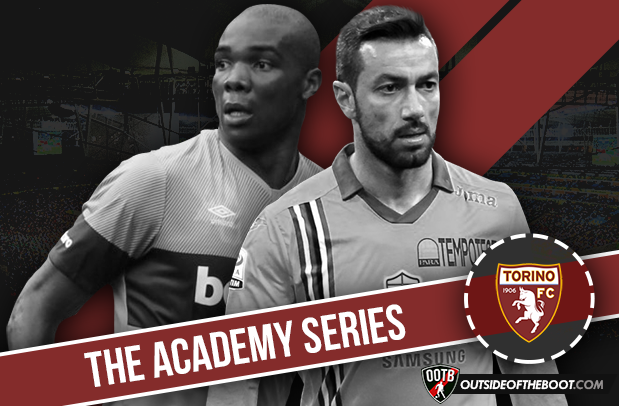 The return of this series shines a light at one of the oft overlooked Italian clubs- Torino. Despite being considered by some football fans “the other side of Turin”, Torino FC (also called “Toro”) is one of the most glorious Italian clubs. Founded in 1906, Toro won 7 “Scudetti” (Italian Serie A titles) and 5 Coppe Italia but unfortunately, it is known mainly for the misfortunes that characterized its history: the Superga tragedy and the death of Gigi Meroni. On 4th May 1949 an air crash on the Superga hill near Turin killed all the members of “Grande Torino”, a team that won 5 Scudetti in a row and provided 10 players to the Nazionale (the Italian National team) starting eleven for a 1947 Italy – Hungary match. Moreover on 15th October 1967 Gigi Meroni, the Toro right winger considered one of the most talented Italian players in the 60s, died at the age of 24 after being hit by a car while he was crossing a road. Furthermore, in 1992, just when they made to a UEFA Cup against Ajax, the club had to face a big financial crisis that lasted until 2005 ending with a bankruptcy that forced the club to re-start from scratch. Few people know that Torino FC is one of the first Italian clubs that, since the end of 1920s, has set up an academy for young players called “Balon boys” in honour of Adolfo Baloncieri, the most important player of the team. The Granata (another nickname of the club, due to the shade of red of the team’s shirts) hold the Italian record for titles won in the two most relevant youth championships: 9 scudetti “Primavera” (Under 19 category) and 10 scudetti “Berretti“ (Under 18 category). Filadelfia stadium, theatre of the Grande Torino victories, became the center where young players were trained and after this place they were also named “Filadelfia’s sons“. The academy’s importance was evident in a match against Fiorentina during the 1981/82 Serie A campaign: all players lined up by Torino FC, except the goalkeeper, were “Filadelfia’s sons”, namely 10 players in the starting eleven plus the 2 substitutes all came from the club’s youth sector. Dino Baggio joined Torino FC academy at 13 years old and grew through all the categories, playing with older teams quite often thanks to his abilities. His debut with the Toro first team was in September 1990 and in his first Serie A campaign he collected 25 appearances: all experts were aware of the potential of this young player, but the Toro chairman needed money to buy some important players for the team (namely Scifo and Casagrande) and sold Baggio to Juventus for 5 million euros. After a year on loan to Inter, Dino got back to Juventus and his international career began: during the 2 years with the Bianconeri he was crucial to the 93-94 UEFA Cup victory against Borussia Dortmund. Afterwards, Baggio joined Parma and, curiously, in the 94-95 campaign he led the Parma team to a victorious UEFA Cup final against Juventus. His career began to decline after a Parma-Juventus match in 2000 due to controversies raised by some statements about referees’ decisions and supposed favoritism towards Juventus. Unfortunately in his next career moves to Lazio, Blackburn Rovers and Ancona, Baggio was not able to succeed. In 2005, after a very short experience in Triestina, he left professional football. Dino Baggio collected 60 appearances with 7 goals in the Nazionale and he is still remembered as one of the most important Italian midfielders of the recent past: Dino was very good at heading the ball and countering adversaries. Moreover, being endowed with an extraordinary individual technique, he could effectively participate in the team’s build up play, delivering precise long balls to attack teammates. Probably Federico Balzaretti was the player most booed by Granata supporters when he was playing against Torino FC. This fact is related to the troubles that followed the 2005 bankruptcy. At that time Balzaretti was considered, probably more than Quagliarella, the most promising young player of the team and, while a new Toro club was going to be founded, at first he declared his will to remain in the new club, but soon afterwards he signed a deal with Juventus, Toro’s city rival . Balzaretti was a left back, very quick, gifted with incredible stamina and able to provide precise crosses for attacking teammates. He was brought up in the Filadelfia Academy and, after 2 campaigns on loan to 3rd division clubs, he got back to Torino FC in 2002. In the following 3 campaigns he became a fixed presence in the starting eleven up to the fatal year 2005. After having joined Juventus, Balzaretti contributed to the victory of 2005-06 Scudetto (canceled for the “Calciopoli” scandal) and the next Serie B campaign that saw the immediate promotion of Bianconeri. But the club where Balzaretti reached his best performance is Palermo: here he gained a place in Nazionale (16 appearances with no goals and the participation in Euro 2012) and the final move of his career, to AS Roma. In Rome Balzaretti’s experience was not so positive due to many physical problems that contributed to his retirement in 2015. Few players in Granata history have been honoured enough to be known as “il Capitano”, the Captain par excellence: Valentino Mazzola, the leader of Grande Torino, Giorgio Ferrini, the Toro’s symbol of the last 50 years and Roberto Cravero. He was the leader of the Torino team that in 91-92 finished 3rd in Serie A and lost the UEFA Cup final against Ajax Amsterdam. Coming from Toro youth categories, Cravero made his debut in Serie A at 18 years old and, after 2 years on loan at Cesena in Serie B (second division), rejoined Toro and became one of the most important players of the team, remaining for six campaigns up to the “damned” final in Amsterdam. Then, after the club’s financial problems, in 1992 he joined Lazio where he played for 3 campaigns before closing his career in Toro after 251 appearances with 21 goals in Serie A and 30 appearances in Serie B. Quite incredibly Cravero never played for the Nazionale (while he collected 24 appearances amongst Under 21 and Under 23 national teams) and for this reason he is not well known outside Italy. He was considered a sweeper but he wasn’t a defender: being incredibly gifted from a technical point of view, he was assigned the role of “added” midfielder, i.e. 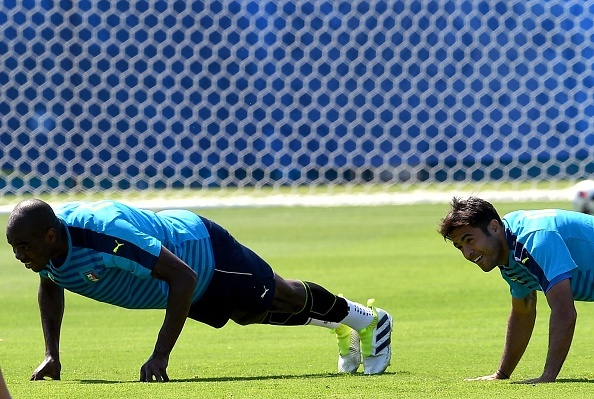 the player charged to start and coordinate team build up play. In the Nazionale he had no chance to succeed either due to the presence of Franco Baresi, a real giant in his position, and because of his unconventional way of playing the role. Bobo Vieri, Cravero’s teammate during the 90-91 and 91-92 campaigns, in his autobiography “Bomber” said: “And then there was Roberto Cravero. Ah Cravero! He was the player most gifted from a technical point of view. During training sessions I was a lot because of him. Whenever I made mistakes, I felt his eyes on me and I would have collapsed under the ground for the shame but with no reason at all since Roberto would have never judged me”. Trained in the Torino FC academy, Diego Fuser stood out, in the 1988-1989 campaign, making his debut in Serie A at 19 years old, before being hired by Milan for 3.5 million euros. He remained with the “Rossoneri” for three seasons, the second of which was on loan to Fiorentina. With the Rossoneri, Fuser won the 1991-1992 Scudetto (15 appearances with 4 goals), 1989-1990 European Cup, and in 1989 both: the European Super Cup and the Intercontinental Cup. Anyway in Milan he did not find many chances to progress his career, and so he moved to Lazio for the 92-93 campaign. In 1998 Fuser won Coppa Italia as captain of the Biancoceleste team and ended his Lazio experience with 242 appearances and 42 total goals. In the summer of that year he moved to Parma, where he won a Coppa Italia, UEFA Cup and Italian Super Cup. After three campaigns in Parma, Fuser moved to AS Roma, where he found very few opportunities; then he ended his professional career with the 2003-2004 Serie B campaign with Granata. Diego Fuser played as midfielder, inside or on the right wing. He was quick, strong and gifted with good technique and crossing ability. He excelled in offensive runs to help attacking teammates and he also had a powerful shot from distance. For these characteristics he was quite a fixed presence in Sacchi’s Nazionale where he got 25 appearances and he was selected for Euro 1996. “Se Lentini se ne va, bruceremo la città” (if Lentini leaves the club, we will burn down the city! ): these words were shouted by enraged Toro supporters during 1992 summer riots caused by Lentini‘s move to Berlusconi’s Milan. At that time Gianluigi Lentini was considered the “golden boy” of Italian football and no one doubted that he and Roberto Baggio could lead the Nazionale to triumph during the 1994 World Cup (in the Nazionale he collected 13 appearances). Born in a village near Turin, Lentini joined the Torino Academy very young and made his debut in Serie A at 17 years old. After a year on loan in Ancona, he got back to Torino for the 1989-90 campaign and became one of the leaders of the Toro team that, within 3 years, coming from Serie B, almost won the Scudetto and the UEFA Cup. Lentini could play all the attacking roles even if he was mainly a winger or an inside forward; he used both feet and was gifted with incredible dribbling ability: his only fault was not scoring a lot. He was mostly an assist man. In 1992 Capello’s Milan was one of the strongest teams in the world and Lentini was a fixed presence in the starting eleven (30 appearances in 1992-93 Serie A campaign); he was also in the starting eleven in the Champions League final lost that year against Olympique Marseille. Unfortunately, when Lentini’s performance was reaching levels of absolute importance, misfortune changed everything: during the 1993 summer a terrible car accident stopped his career. He never fully recovered his previous abilities: he remained at Milan for 2 more years, but he was merely a substitute player. He also tried a career revival playing for Atalanta where he met again Emiliano Mondonico, his former Torino coach and then got back to Granata team, contributing to the victorious 1998-99 campaign in Serie B. His last campaign in professional football was in 2003 with Cosenza in Serie B. Although Filadelfia Academy is not particularly renowned as a goalkeeper’s factory, Marchetti, one of the most important Italian goalkeepers, comes from it. Curiously his career in Torino lasted only one official game, mainly due to the 2005 financial bankruptcy that freed all the Toro players from every tie with the club, but also because a lot of people in the club had some doubts about Federico’s potential from a behavioral point of view. Nevertheless Federico grew and became one of the best Italian goalkeepers, able to defend the Nazionale goal 11 times (making his debut during the 2009 match against Northern Ireland), in an era where in Italy that role is dominated by Gianluigi Buffon. Leaving Torino, he gained some experience at Albino Leffe, a Serie B club. Marchetti then joined Cagliari where he remained for three years, acknowledged as one the most important players in Serie A. After a year of inactivity because of disputes with the Sardinian club (Cagliari), in July 2011 he joined Lazio where he reached a very high performance level: he still keeps goal at this club and recently was the third selected goalkeeper of the Nazionale at Euro 2016. Marchetti is particularly renowned for his ability in picking out crosses by punching them clear and in defending against low balls. Angelo Ogbonna, a central defender able to play also as left back, is the most important player coming from the Toro Academy since the 2005 bankruptcy. He joined Torino FC in 2002 from a Cassino youth club and in the 2006-07 campaign, at 18 years old, was ready for his Serie A debut: for the match Torino-Reggina, played on 11th of February, Alberto Zaccheroni choose him as one of the three central defenders lined up in the starting eleven. At the end of that season he collected 4 appearances and in the next campaign he moved on loan to Crotone in the 3rd division (at that time named serie C1), where he became a leader of a team able to reach the play-off semi-final for promotion to Serie B. Back to Toro, Ogbonna gradually turned into being the reference point of the Granata defense line, in particular after Giampiero Ventura’s arrival as manager: he is one of the very few players to be selected for the Nazionale, while still playing in Serie B (2011). In the summer of 2013 he moved to Juventus where his growth seemed to stop: during the 2 years in “Bianconero” he was not able to achieve a fixed place in the starting eleven. Also his career in the Nazionale suffered the same fate: he was selected for Euro 2012 and Euro 2016 but he played only one match in these 2 tournaments. For these reasons in 2015 Ogbonna moved to West Ham. Pellissier is one of the myths of the “Chievo dei miracoli” ” (miraculous Chievo), the club able to grow from Serie D up to Serie A with the chance to play also the Champions League qualifying rounds. But Sergio Pellissier is another product of the Filadelfia Academy, although, unfortunately (like other players in this article) he played only one official game with the Granata, in Serie B. A mix of evaluation mistakes and the Toro’s chronic financial problems between the end of the 90s and the start of the new millennium, pushed him to Chievo where he has been playing continuously since the 2002-03 campaign. So far Pellissier has played 397 games in Serie A scoring 98 goals all with the yellow-blue shirt while 38 have been the appearances in Serie B with 22 goals scored. Moreover he also played one game for the Nazionale scoring one goal during a friendly against Northern Ireland. Pellissier is considered the classical “deep lying forward” able to widen the attacking spaces with sharp runs towards the external side before cutting inside in order to try and finish; his best campaigns have been the ones where he was able to play near a target man. Quick and smart Pellissier is also very good at heading the ball even if he is not very tall. Fabio Quagliarella is considered one of the most talented Italian strikers playing in Serie A. Able to play either as a target man or as a deep lying forward, he posseses a very powerful and precise shot allowing him to score also from “impossible” distances; Quagliarella is also very good at heading the ball. He started with the Torino FC Academy and made his debut in Serie A with Granata, at 18 years old, during a 1999-2000 campaign match against Piacenza. After 2 campaigns on loan to 3rd division clubs (Florentia Viola and Chieti), he came back to Torino for the 2004-05 Serie B campaign where he contributed with 25 appearances and 7 goals to the Granata’s promotion to Serie A, even if this result would have been canceled due to the club’s financial bankruptcy in the summer of 2005. Freed from any contract, Quagliarella moved to Udinese who then sent him on loan to Ascoli where he scored his first Serie A goal during the match against Treviso. Since then it has been a continuous growth with the shirts of: Udinese, Sampdoria, Napoli, Juventus (where he won 3 Scudetti), Torino and Sampdoria. So far Quagliarella has played 426 matches in Serie A with 126 goals and 25 matches with 7 goals for the Nazionale (debut against Scotland in 2007). He is, also, the player that scored the 1200th Nazionale goal during a 2008 match against Portugal. Being honest the permanence of Christian (nicknamed “Bobo”) Vieri in Torino FC Academy was really short. Christian arrived at the end of the Under 17 national tournament played with Prato (3rd division club) and was immediately sent to the Primavera team for the 1990-91 campaign. After only one year, he joined the Toro first team and made his debut during a match against Lazio in Coppa Italia, at 18 years old. In the 1991-92 campaign he collected 7 appearances scoring 1 goal with Granata in Serie A. Toro decided to send him on loan to Pisa and then to Ravenna, both in Serie B in order to make him experience professional football. Then, Vieri was sold to Venezia in exchange for another player, Petrachi, that had no particular success in the Granata team. Vieri’s career has been a continuous change of clubs: Venezia, Atalanta, Juventus (where in only one season he won 1 Scudetto, 1 UEFA SuperCup and 1 Intercontinental Cup), Atletico Madrid (he is the only one Italian player able to win the Liga scorers ranking), Lazio (1 Cup of the Cups and 1 Italian Super Cup), Inter (for 6 campaigns it is the club where he played most), Milan, Monaco, Sampdoria, Fiorentina and Atalanta for a second time. With the Nazionale Vieri collected 51 appearances scoring 23 goals, participating in two World Cups (1998 and 2002) and Euro 2004. During the 2002 World Cup, he reached the Italian record of 9 scored goals in this tournament, held also by Paolo Rossi and Roberto Baggio. With the Under-21 National team (22 appearances and 11 goals) he won a European championship in 1994. Pelé has included Vieri in the list of the 125 greatest living footballers, drawn up on the occasion of the centenary of FIFA. Vieri occupies also the 71st place in the special ranking of the twentieth century best players published by World Soccer magazine. Vieri was a center-forward, left-footed, with great physical energy, fast progression, good at heading ball and with a powerful and precise shot; one of his best qualities was the opportunism, quite unusual for a striker of his physical size. Fall and rebirth. The 1992-2005 financial troubles pushed Torino FC to progressively decrease resources allocated to the Academy and to sell a lot of good young players. In the same time, the legendary Filadelfia stadium was demolished due to safety reasons. The 2005 bankruptcy forced the new club to rebuild the Academy both as management and training structures; so achieving results worthy of the Torino FC history took time. But at the end it was a success: in the last 3 years Torino FC won 1 scudetto “Primavera” (2014-15), 1 scudetto “Berretti” (2013-14), 1 “Primavera” Super Cup (2015-16) and was “Primavera” runner-up in 2013-14 campaign. In the meantime Filadelfia stadium is being rebuilt and the club is preparing a new training center only for the Academy. So who will be the next famous “Filadelfia’s son”? In Torino FC first team Barreca (left back) and Aramu (attacking midfielder) have already made their debuts in Serie A; Barreca is a fixed presence in the Toro starting eleven and in the Under 21 National team. Gomis (goalkeeper on loan to Bologna, considered the best in his role during the last serie B campaign when he was playing for Cesena) and Parigini (inside forward/winger on loan to Chievo, Under 21 Nazionale, considered one the most talented young Italian players) are probably the ones closer to success. But it is important also to mention the members of Under 19 national teams: Zaccagno (goalkeeper on loan to Pro Vercelli, considered the most promising Italian players in his role with Udinese’s Meret) and Edera (on loan to Venezia, winger/inside forward incredibly gifted from a technical point of view). Other interesting players are: Rosso (on loan to Brescia, striker protagonist of the 2014-15 “Primavera” scudetto), De Luca (central forward in the present Torino FC Primavera and already selected for some matches of the Serie A team) and Carissoni (right back on loan to Trapani). The sun is shining again on Toro’s future. Read all the other Academy Series articles here. Fabrizio Gatti works as a project manager for a telecommunications company. He is an enthusiastic Torino FC fan and writes football articles for some specialized websites such as Torcidagranata. Fabrizio assiduously follows Serie A and the major European competitions.